Clement has 6 years of experience within the UK Security Industry and has worked in North West England as well as East Anglia. Previously he served as a government officer in the Malaysian Prime Minister’s department dedicated to car theft, public order, police transformation and the occasional multiagency operation. 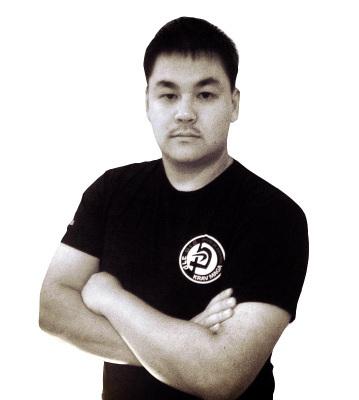 Chris possesses 15 years of experience in martial arts and fighting techniques. He has achieved 4th Dan in Taekwondo and is currently an instructor of Protect Krav Maga under the pupillage of Itay Gil. He previously acted as Krav Maga Trainer for New South Wales Police and the Australia Defense Force. Chris is currently working in the Australian security services and occasionally conducts Krav Maga training to civilians. Debz is an International close combat instructor, Choi Kwang Do faculty and advanced chief instructor as well as a conflict management coach and personal safety risk assessment specialist. She acted as security and safety officer for 7 years at Highland games in Scotland and was Director of a close protection company, Granite Security Services Ltd for 5 years. Debz is also Ex-British military and British police. During her role, she worked with the community police in Grampian Scotland, specialising in anti drug and alcohol with teens. She also worked with the rehabilitation of young offenders and drug addicts. She is also part of the board of advisors for "Radiant Retreats" a Malaysian youth organisation specializing in corporate team-building and educational camps for schools. Debz is currently security advisor and columnist with the American association of Malaysia as well as Senior Director of SFER SDN BHD.